Doing God's Work Where Ever He Leads Us!! www.gofundme.com/blindchildren to donate directly online! 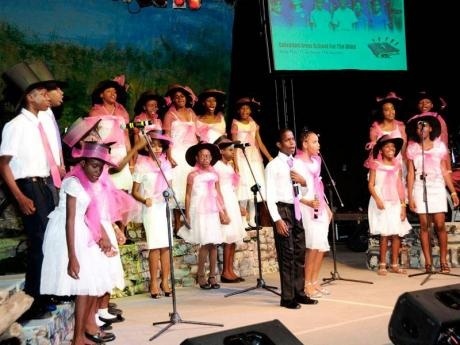 This Mission for Blind Children is focusing it's efforts on the Salvation Army School for the Blind where they minister, educate and train blind and visually impaired children and blind children with multiple disabilities like Deafness and Autism. It is our intention to foster growth and an atmosphere of high expectations, positive attitudes and a deep Love for our LORD! Blind Children Missionaries Children Charities, Educate Blind Children Support Blind Children Blind Kids. Favorite activities during our Mission Trips to the school. 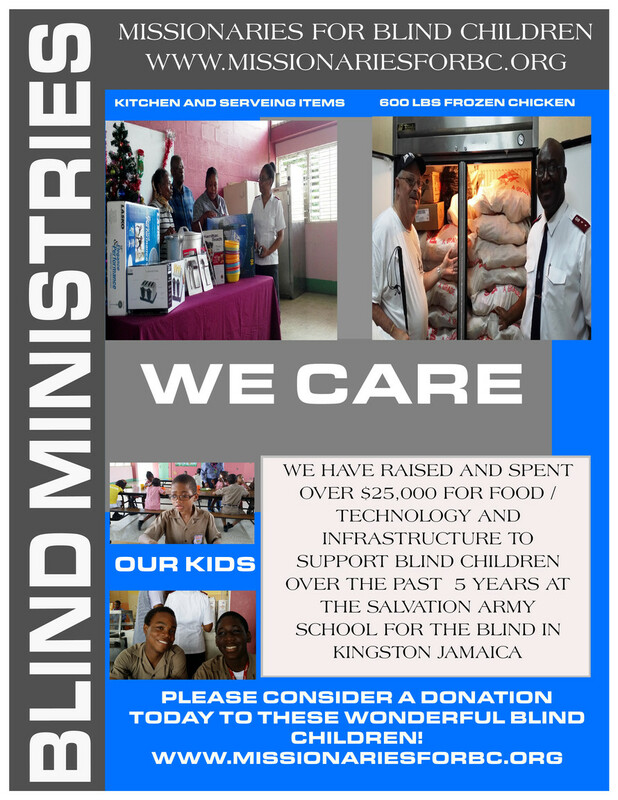 We traveled to the school on January 7 through January 15, 2019 to again make a difference in the lives of these beautiful blind children at the Salvation Army School For The Blind in Kingston Jamaica! We took a team of 6 this year to the school and we had a great time working with the new administrators Rod and Paulette Bungay. Our next mission trip is scheduled for January 2020. Stay tuned for more information. and show their enthusiasm for life and wonderful smiles! Children is definitely for you! 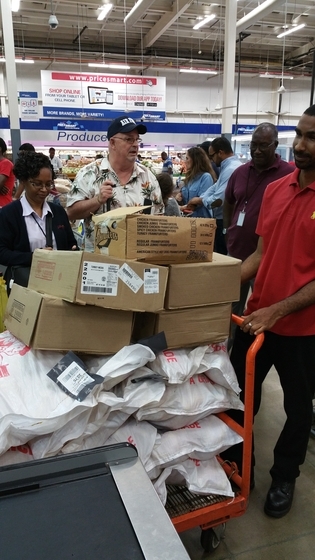 of Chicken, Turkey Necks, Makril and Saltfish are pictured on the left. make sure all the blind children at the Salvation Army School for the Blind have this kind of future ahead of them. This years mission trip will once again be housed at the Spanish Court Hotel. 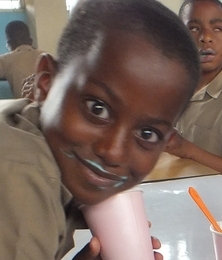 and Ice Cream Social for the children. Donations page to make your much needed donation. get as many of them as possible on the site. for this important effort ! 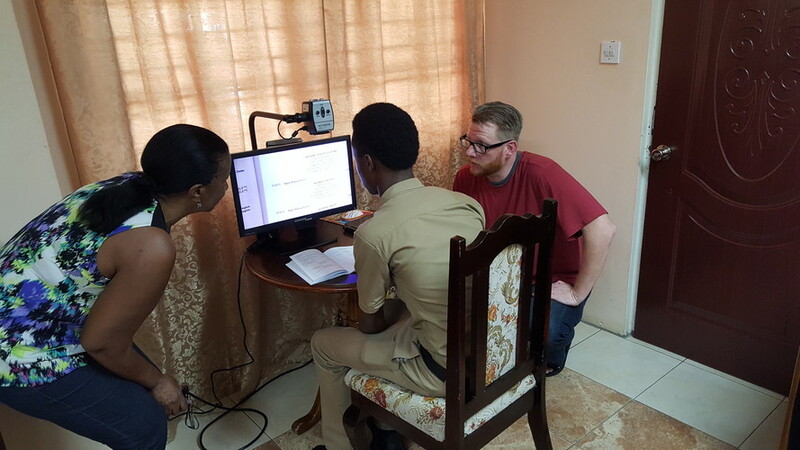 This Is A Picture Of David Barnwell President Of The Brighter Path Foundation Giving Instructions To Students On The Acrobat Magnification System Of Which They Donated 3 This Year At A Value To the School of $9,000 USD. A Big Thanks To David Barnwell , A Brighter Path And Winston Salem Industries For The Blind!